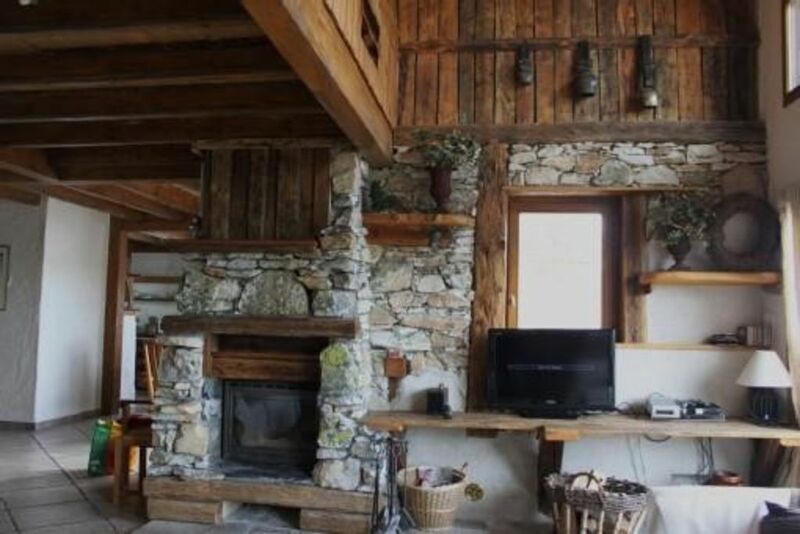 In the heart of Paradiski's skiing area (Les Arcs, La Plagne, Peisey-Vallandry, Champagny-en-Vanoise) The charming chalet of Marie-Galante is located on the runs and on the outskirts of the Vanoise National Park. Sleeps up to 16 persons. Luxurious 240 sqm chalet with 7 rooms on 3 floors. Interior with old woodwork, large sunny terrace facing South-East with table and deck chairs. Very nice view of the Beaufortain, the Haute Tarentaise valley and the village of Montchavin. Large and comfortable cathedral living room with fireplace. Vallandry, in the Chalets de Bellecôte area, just outside the forest, 400m away from Vallandry's centre, on the forest path, 1600m high. Golf: Peisey-Vallandry's valley, with the refuge of Rosuel and the reception point of Maison de Peisey, is 1 of the 4 official doors of the Vanoise National Park. 18 holes golf course in Les Arcs 1800, 2 km away. Les Arcs 1800 pool, 2 km away. Ski: Paradiski is one of the largest ski areas of Europe from 1200 to 3250 m of altitude. In the heart of the French Alps, in Savoy, Paradiski links 3 large ski areas: Les Arcs, Peisey-Vallandry and La Plagne. Facing the Mont Blanc, 425 km of runs for all levels. Peisey-Nancroix offers you the largest and the most beautiful country skiing area of the Haute Tarentaise. 43 km of runs in a beautiful scenery: the cirque of Mont Pourri and Platières, the North face of Bellecôte. Peisey-Vallandry's valley, with the refuge of Rosuel and the reception point of Maison de Peisey, is 1 of the 4 official doors of the Vanoise National Park. Les conditions tarifaires s'entendent pour la location entière du chalet, pour 7 nuits, ménage en fin de séjour inclus, draps fournis uniquement en saison d'hiver, bois de cheminée, wi-fi. La taxe de séjour est en sus.